Savings.com is excited to announce that their 12 Days of Giveaways are back! Every weekday from Monday, November 5th – Tuesday, November 20th, they’ll be giving away one prize, with a value of at least $250, from one of their partner stores. 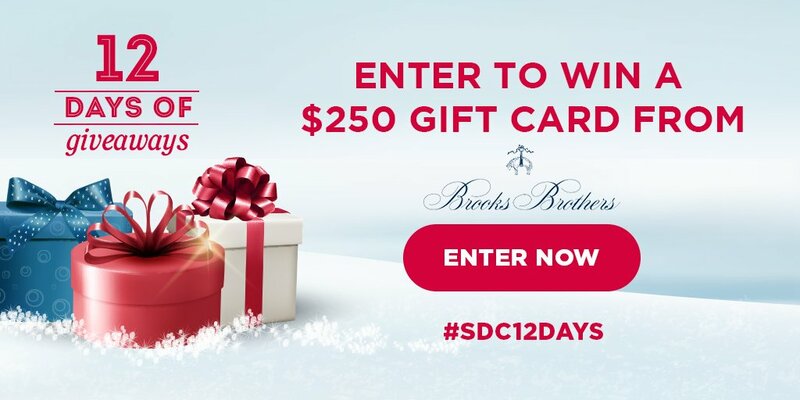 Today's giveaway is for a chance to win a $250 gift card to Brooks Brothers. Though Brooks Brothers started as a menswear retailer, and holds the distinction of being America's oldest retailer of men's clothing specifically, that's not where its items end. Nowadays, you can also buy women's and kids' clothing, and it has its very own in-home brand, Red Fleece, which provides clothing for men and women.